An effective combination of medicinal plant extracts work to drain and eliminate fat. Helping to improve the appearance of cellulite. Cellu-Dren is a Micro-nutrition drink that helps with liquid drainage and fat degradation to reduce the appearance of cellulite and bloating. 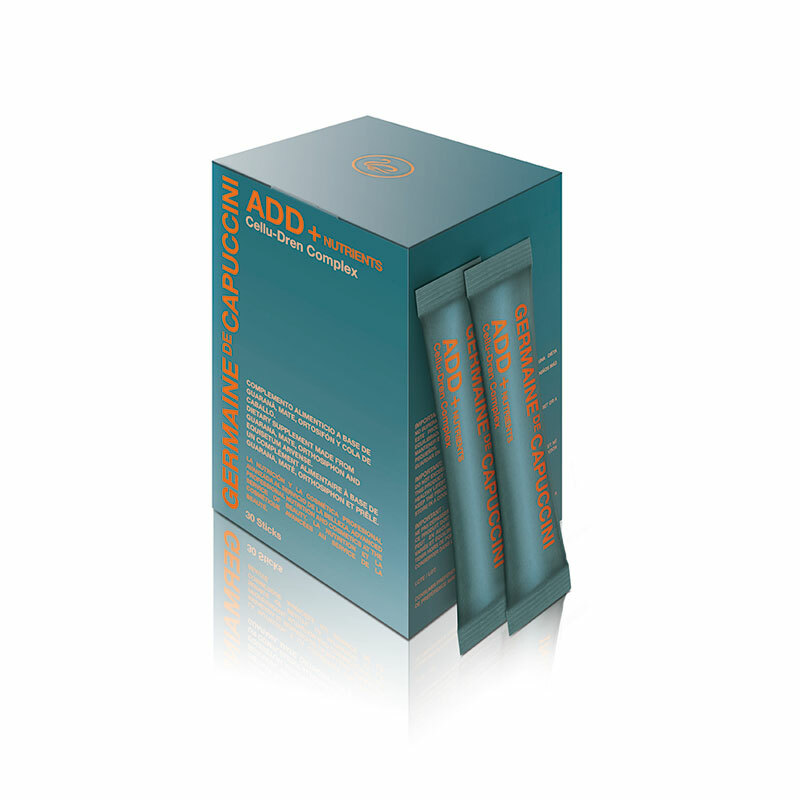 An ideal complement for anti-cellulite cosmetic treatments. Guarana - contains caffeine which helps the body to eliminate and drain fluids. I just wanted to thank you for this amazing product. I started this product nearly a week ago and I’m amazed by the results my starting weight was 9st4 I am now just under 9st The best bit is the inches I’ve lost I’ve gone from a 37.1” abdomen and love handles down to 34” in less than a week. I can not recommend this product enough I tested this product to the max I didn’t diet or even eat the slightest bit healthy so imaging what’s possible when I do. Can’t wait to see results in the next three weeks then have the universal contour wrap to help tighten any loose skin and boost more inches the energy and confidence this has given me is amazing. Note: This product should not be used as a substitute for a balanced diet and a healthy lifestyle. Take one stick a day. Pour the content in a bottle with 0.4 – 1.5 litres of water and stir until it is fully diluted. The more water you consume, the better the results. Store in a fresh, dry place. Maltodextrin, Orthosyphon Extract (Orthosiphon Stamineus Benth), Mate Extract (Ilex Paraguanensis A. St-Hil), Field Horsetail (Equisetum Arvense L.), Guarana Extract (Paulinia Cupana Kunth. ), Anticaking Agent (Silicon Dioxide), Sweetener (Sodium Saccharin) and Natural Aniseed Fragrance. Tastes OK - but I am now on week 2 and have lost over an inch from my waist without dieting or changing anything - so am pretty pleased so far! I am only 2 weeks into this 30 day course and can see results already. My cellulite has visibly reduced on my thighs and bottom. I have also, unexpectedly, lost weight! I have gone from measuring 30.5" to 29.1" around my waist. I have also lost between 0.5" to 1" on other areas. The taste is not unpleasant and has actually grown on me over a couple of days. I was expecting a side effect of frequent bowel movements but this is just not the case. I can highly recommend this product and have already ordered my second box. Great product, nice taste and really does work! I’m so pleased! My cellulite is noticeably reducing and I’ve lost just over an inch from waist. I would thoroughly recommend this product. Have purchased this as my friend at work has been using it and within a week she had lost about 3lb in weight - without dieting, so - I need this too!! OMG - this product is amazing!! Without changing anything diet or exercise wise, I have lost 3lb in a week and my abdomen has lost its bloat - I love this!!! Excellent service. Lovely products and free samples too!